BD229 wholesale funny card for retailers. 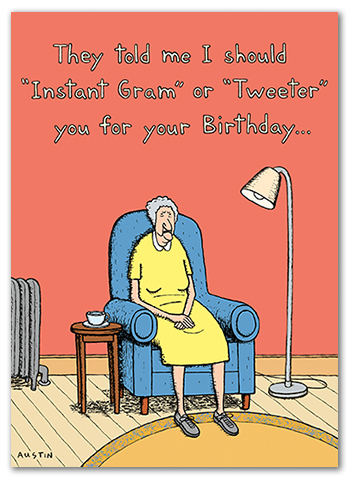 This birthday card with sarcasm is about social media card for older women. Perfect for retailers with customers that like good humor. Check out our lineup of display racks!